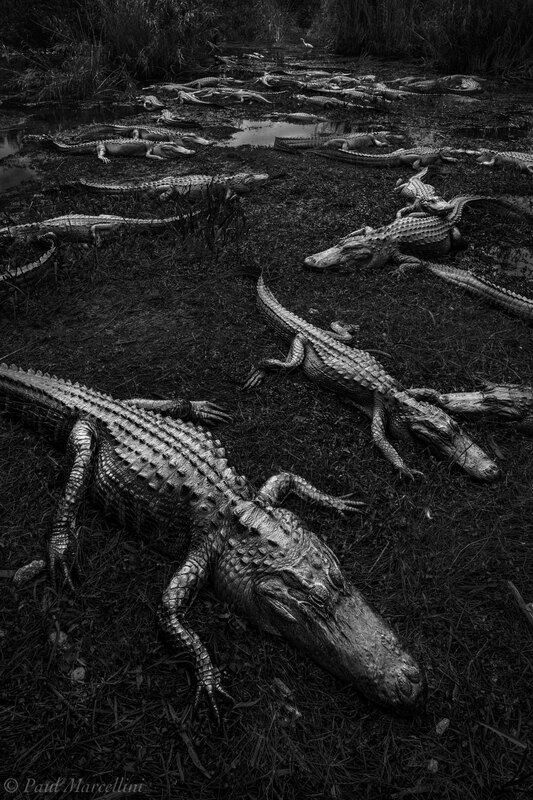 In the dry season, alligators congregate in the last remaining bodies of water. They haul out on land to warm up for the day. Photo © copyright by Paul Marcellini.